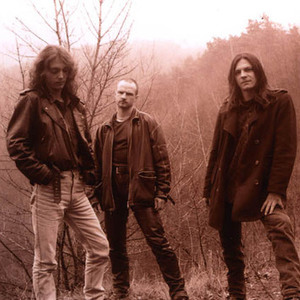 Cales is an originaly pagan doom metal founded by guitarist Petr 'Blackie' Ho?ek from legendary Czech band Root around the year 1993. First song First Key was released at that time also. Two years later, first long-playing album Bonds of Togetherness was out, showing band in a very good pagan metal form. In year 1998 together with album of his another band Entrails was released a promo of Cales-Mystery of Lost Equilibrium. In year 1998 together with album of his another band Entrails was released a promo of Cales-Mystery of Lost Equilibrium. In 2001 The Pass In Time saw the light of day. At that time Skuny became the bands new singer, because original singer J.S. De Sed decided to spend all his time on his own band Dark Gamballe. Around 2003, Cales changed their style to a more hard rock sound, leaving the trails of their pagan past behind for now. The album Uncommon Excursion is a mix of modern hard rock with a typically Blackie sounding guitar and good work by singer Skuny (also in Sad Harmony) and drummer R. 'Evil' Kostelnak (also in Root). In 2007, the instrumental album called Savage Blood returned to the pagan past of the project.